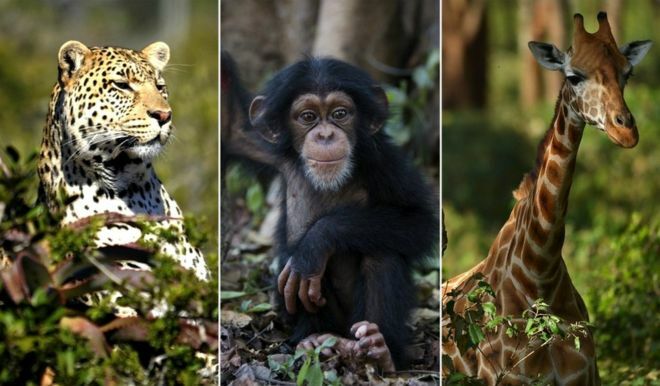 A UN-backed wildlife conference held in the Philippines has voted for additional protections for a list of 33 endangered species including chimpanzees, leopards and giraffes. Whale sharks, the world's largest fish, were also included on the list. The six-day long Convention of Migratory Species (CMS) concluded on Saturday, demanding better protections for species that cross country borders. The groups executive secretary said "everybody has to pitch in" to efforts. "It has helped to convey the message that the future of migratory wildlife is integral to our own future and that we all have the responsibility to act," Bradney Chamber said. Governments also made commitments to cooperate on reducing the negative impacts of marine debris, noise pollution and climate change on migratory species. More than 1,000 delegates from 129 countries debated species' protection at the 12th conference of its kind, backed by the United Nations Environment Programme. China is still not part of the delegation, but organisers said the country had made some advances on animal protection, such as committing to shut-down the ivory trade and banning the serving of endangered species, such as shark fin soup, at government events. Hosts the Philippines lobbied for the inclusion of whale sharks, which have become a tourist attraction for the nation. Three other shark breeds were also included in the list. Ten species of vultures were also singled out for special protection, alongside well-known African mammals deemed to be in danger. Giraffes are on decline on the continent, with only 90,000 thought to be left in the wild.